Bodyguard Warren Kingsley is worried, very worried. His wealthy client, Thomas Redding, is murdered by an antique golf club in the middle of a retreat at a small town hotel. Now, Warren is convinced he’s going to be the next target of the killer. He immediately hires a bodyguard of his own, Mahrute. Kingsley and Mahrute attempt to solve this murder on their own when they realize the local police department is somewhat less than up to the task themselves. They come across a cast of quirky characters who are intent on throwing stumbling blocks in front of the two bodyguards. Readers will go on a bumpy ride with these characters. They will be led on a merry chase to find the killer as our heroes get themselves in one dangerous situation after another. There’s a bit of everything in this book – mystery, adventure and a touch of romance, too. Sherban Young has created a book that will have readers laughing out loud and smiling throughout the entire story. Kingsley and Mahrute were first introduced in supporting roles in Sherban’s previous book, Five Star Detour. I haven’t read this one yet, but if it’s anything like Double Cover, I would enjoy it very much. This book reminded me of the old Pink Panther movies with Peter Sellers. Humor and mystery all rolled up in one fun package. Thank you for the positive review of Opportunity Slips. Mr. Young's latest mystery caper novel, Fleeting Memory, was listed as a Kirkus Reviews's "Best of 2011..." selection in the Quick-Witted category. I will be happy to send you the press release about the Kirkus Reviews's honor and/or a PDF copy of Fleeting Memory if you would be interested in reviewing it. I think you will find that the book demonstrates Mr. Young's characteristic witty and charming approach to the mystery caper. Fleeting Memory also is the first book in a new detective series by Mr. Young. Sorry....I meant your review of Mr. Young's book Double Cover. I saw the comment posted above from THE READING PANDA....they had reviewed Mr. Young's book Opportunity Slips and that stuck in my head. 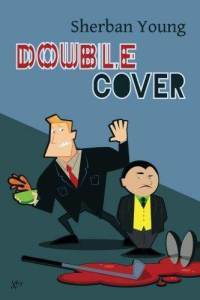 My deepest apologies, and thanks for your review of Double Cover! I hope you will be interested in reading Fleeting Memory. I am sure you will enjoy it...especially the oddball characters! Gratitude Giveaways Blog Hop Winner! Sunday Salon - 2012 is Almost Here! Sunday Salon - Challenges Anyone?